19:00 - 19:15	Welcoming Remarks. There are two types of challenges: one is provided by Wanxiang Blockchain Labs, which is detailed as follows, and the other is provided by sponsors that will be introduced at the venue. Participants could choose Organizer’s challenge and Sponsors’ challenge at the same time. Wanxiang Innova City dedicates to new energies and smart city innovations, and the main theater for the deployment of blockchain application scenarios. Wanxiang Group plans to invest RMB 200 Billion over 7 years, starting from 2017, in this ambitious project of 9 square kilometers. Wanxiang's ultimate goal is to build a smart city where 90,000 people will live, study, research, and work. Unlike a traditional city with new technology added incrementally, at Innova City cutting-edge technology will be embedded in the fabric of its physical and data infrastructure from planning stage, enabling bolder innovations and ground-breaking experimentations. Among other things, Wanxiang Innova City is to be the first digitalized city running on a secure and versatile cloud infrastructure enabled by blockchain. Incorporating artificial intelligence, IoT and cognitive computing on the edge, Innova City pioneers the next stage of urban intelligence that provides smart services, smart residence, and smart transportation, and covers the full life-cycle of research, incubation, conversion, production, and operation relating to these applications. Sponsors may also present their unique challenges and prizes at the venue. 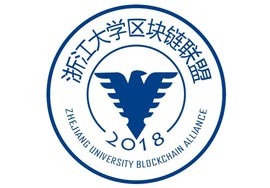 50000RMB & 4 Tickets for （Tech Open Day+Summit）of Shanghai International Blockchain Week 2018. 30000RMB & 2 Tickets for （Tech Open Day+Summit）of Shanghai International Blockchain Week 2018. 10000RMB & 1 Tickets for （Tech Open Day+Summit）of Shanghai International Blockchain Week 2018. 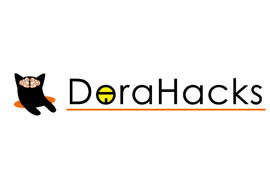 Hackathon participants should register individually on their own account before the registration deadline, after which the host will review the applicants’ information (including resume, Github, and etc.) and notify the approved applicants . Please upload the necessary information during the Hackathon registration process. Registration is fee-free. As stated above, registration is conducted individually. Approved participants may team up at the venue freely with 3-5 persons in each team. CTO of Shanghai Wanxiang Blockchain Inc.
Mr. Luo, the Chief Technology Officer of Wanxiang Blockchain Inc., Director of product and development team, and Leader of ISO TC307/WG1, has over 15 years of experience in IT technology planning and management. He had worked at a securities and futures exchange under the China Securities Regulatory Commission, during that time he had participated in joint projects with leading global exchange groups including Nasdaq, NYSE, NYSE Euronext and etc. in which he had established deep connections with architects from Europe and the United States. He has a global vision and a deep technical background in the financial sector. 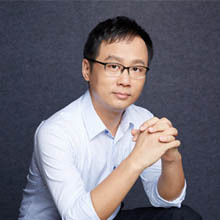 He has strong research skill in blockchain technology and its applications in the financial industry. 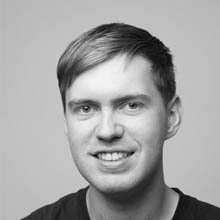 Christopher Goes is a core developer & protocol researcher at Cosmos primarily focused on inter-blockchain communication, verifiable smart contract languages, and proof-of-stake incentive design. He is also a cofounder of the proof-of-stake validator company Cryptium Labs and the author of the Wyvern Ethereum DEX protocol. He hopes that distributed ledgers will shift the economics of network effects in favor of aligned incentives and positive-sum games. 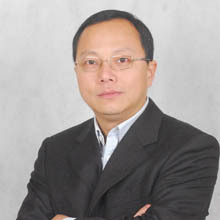 Haifeng Xi, founder of IRISnet & Bianjie. Haifeng has an M.S degree in ECE from the University of Maryland. Haifeng worked as CTO for Wanxiang Wancloud before starting IRISnet project. 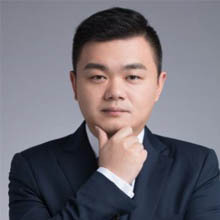 He also worked as senior architect for two leading financial companies In US, then he came back to China worked in the capacity of CTO for three companies, one of which is NASDAQ listed. 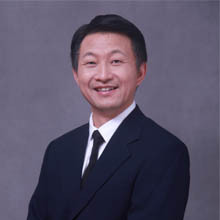 Wenbin Zhong was graduated from Shanghai Jiao Tong University, and Chinese Academy of Sciences. 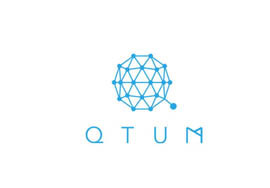 He is currently the Chinese Lead Developer of Qtum, focusing on Qtum Core and Qtum-x86 development. Wenbin had known Bitcoin and even mined cryptocurrency since 2013, and has solid knowledge on blockchain technologies. 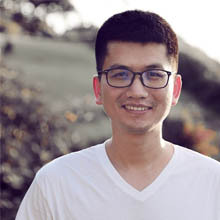 Before joining Qtum, Wenbin worked as senior developer in SYNOPSYS, and has over 4 years of experience in large-scale software development. Mr. Rong Yu leads the technical strategy and roadmap for Microsoft ScaleUp Shanghai. He is responsible for delivering the best technical programs to help top-class start-ups in Microsoft ScaleUp Shanghai to build their innovations and successes on top of the cutting edge technologies from Microsoft. Mr. Yu has 10+ years of experiences working in Microsoft. Prior to joining Microsoft Accelerator Shanghai, Mr. Yu led product management of MySQL Database on Azure in R&D in Microsoft China Cloud Innovation Center. He and the team built the product from ground zero and successfully released General Availability in 18 months with average over 20% MoM growth in the following 12 months. Before that Mr. Yu worked on various Windows Server products as a program manager. 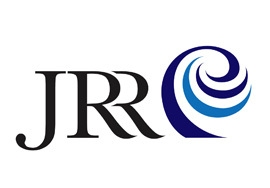 Founder& CEO of Magicoranges & Venture Partner of JRRcrypto. 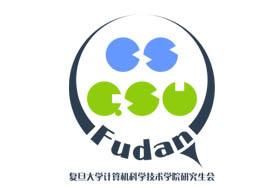 Computer Science and Technology Graduate Shanghai Jiaotong University. Years of experience in the Internet industry with successful entrepreneurial experience. Got involved in the blockchain industry in early 2016, the well-known blockchain enterprise. "Magicoranges Co., Ltd." founded by him is the first batch of domestic enterprises which obtain the investment from Shanghai Wanxiang Blockchain. 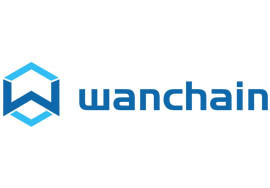 As a joint innovation team of Wanxiang Blockchain, the company was mainly responsible for participating in the implementation of numerous blockchain projects. Graduated from Peking University and The Ohio State University. Blockchain entrepreneur and technical expert. Cofounded Factom in 2014. Founded Wanglutech, which brings Blockchain technology to a greater range of applications. 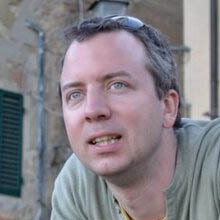 Jason Jones –Entrepreneur-In-Residence, ConsenSys. Jason Jones is an entrepreneur and investor. He has invested in over 200 technology companies over the past 20 years and he has launched numerous businesses. He is currently an Entrepreneur-In-Residence at ConsenSys focused on financial services projects. He is also a board member for the Cardinal Rose Group, a fintech holding company that operates LendIt Fintech, a global fintech events business, and NSRInvest, a marketplace lending robo-advisor. Previously, Jason founded HighStep Capital, a data driven, technology focused investment firm. 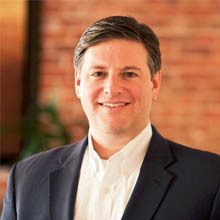 Earlier in his career, Jason worked as a technology portfolio manager/analyst at J. Goldman & Co.,SAC Capital, Goldman Sachs, Cambridge Associates, and Fidelity Investments. Jason holds an MBA from the Johnson School at Cornell University where he was a Park Leadership Fellow and a BS from Babson College. He is originally from the Boston area and he currently resides in the NYC area. 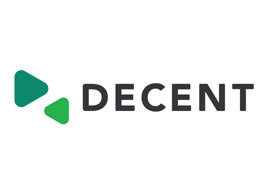 Michal Geci represents DECENT as Head of Innovations . He takes care of incubation and acceleration programme for DECENT. Michal has spent more than 20 years in boosting innovation across Europe and in China. His professional experiences span from being an entrepreneur, IT and strategy consultant, leading business development for multinational corporations up to setting up the co-working space and acting as a business angel investor and start-up mentor. 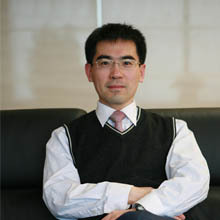 He got Master Degree in International Relations from Bologna University in Italy and MBA from SDA Bocconi in Milan, Italy and from SEM Tsinghua University in Beijing, China. 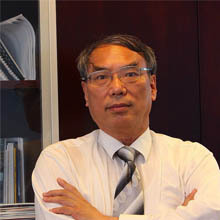 Graduated from Peking University with a PhD degree, Mr. Bai had engaged himself in the establishment of a central computing coordination center for Chinese government CNCERT/CC since 2000. 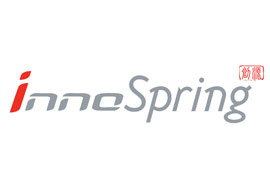 And since 2002, he had served as the Chief Engineer of Shanghai Stock Exchange and the Chairman of Shanghai Securities Telecommunication Ltd.
Remington is a partner at Fenbushi Capital, one of the earliest and most active blockchain-focused venture capital firms. He is also an advisor to BlockAsset, a leading digital asset investment firm. 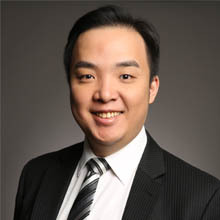 He has over 10 years of experience in investment banking and private equity in China, including as a senior analyst covering Asia TMT at Merrill Lynch and as a senior consultant at global top 10 management consulting firm L.E.K. Consulting. He is also an experienced entrepreneur whose startups have been accepted into leading accelerator programs and attracted funding from global VCs. Remington holds a MBA from INSEAD and a BS in Electrical Engineering from UCLA.